Buffy Heater, chief strategy officer of the Oklahoma Health Care Authority, is evaluating options for shifting part of Oklahoma’s Medicaid population into a “coordinated care” program using private-sector contractors. At the insistence of state lawmakers, the Oklahoma Health Care Authority is exploring cost-saving options that could lead to partial privatization of the state’s $2.4 billion Medicaid program for aged, blind and disabled people. The state tried that once before, and it didn’t work out. Costs escalated, companies dropped out, and the state pulled the plug. Supporters of the new effort predicted it might turn out better because of improvements in managed-care practices. Even if it does, however, advocates of the aged, blind and disabled said a new managed-care program could be highly disruptive for thousands of impaired Oklahomans who might be forced to switch doctors and adapt to new care regimens. It’s not certain that the current initiative will lead to a managed-care operation, because that’s not the only model under consideration. But officials acknowledged that it was highly possible, and legislative backers said that’s what they had in mind. A major objective of the initiative is to reduce the growth of spending on one of the state’s more expensive tax-supported safety net programs. The 178,025 aged, blind and disabled Oklahomans who received health services in fiscal year 2014 accounted for 16 percent of Medicaid membership, but 47 percent of spending. The state pays about a third of the cost. The federal government pays the rest. Advocates for the aged, blind and disabled said they are a particularly vulnerable population of poor people. Many are intellectually, developmentally or physically disabled. In the past, many would have been housed in state institutions. Today, they are able to live independently, with state-supported, in-home services. Health Care Authority officials said they were proceeding cautiously. The agency is currently evaluating “request for information” responses from 23 independent managed-care companies, administrative service organizations and regional health care groups. It is conducting stakeholder meetings and focus group sessions across the state. It plans to draft a more specific “request for proposal” later this year. The earliest point in time that aged, blind and disabled people could be shifted into a new program would be October 2017. Courtesy of Jennifer McCollum, Oklahoma Association of Area Agencies on Aging. Trish Emig, a participant in a coalition that is critical of the state’s move toward managed care for Medicaid participants, speaks during Senior Day at the State Capitol earlier this year. 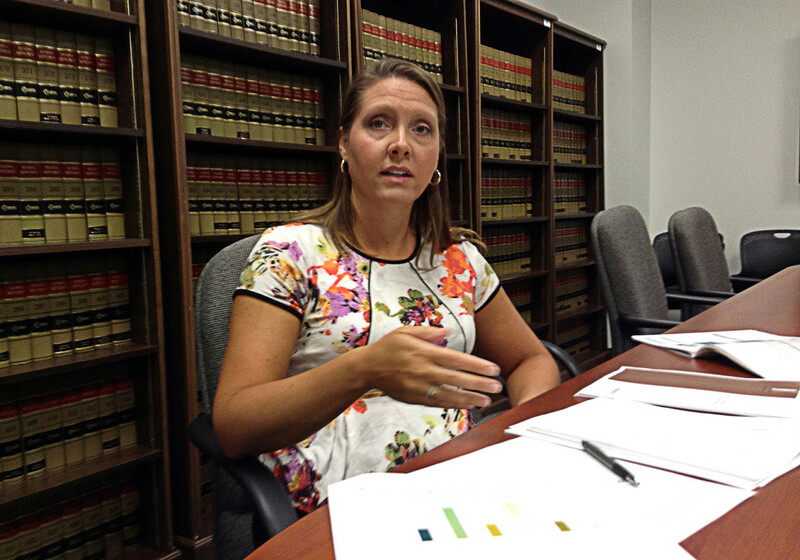 The state tried contracting with outside vendors to run a managed-care program for Medicaid recipients once before., and it didn’t work out as planned. In 1995, the Health Care Authority launched SoonerCare Plus, a “fully-capitated” managed-care program in which participating health-care providers agreed to accept a fixed fee for each member instead of submitting bills for every service provided. Initially, aged, blind and disabled members were not included in SoonerCare Plus because of their complex medical needs. They were added in 1999. The program was limited to the Tulsa, Oklahoma City and Lawton areas because there weren’t enough doctors in rural areas who were willing to provide services for the amount of money they would have received under the program. Federal regulations required a mandatory program like Oklahoma’s to offer at least two competing managed-care networks in every area it covered. Oklahoma started off with five managed-care companies serving the three metro areas. After the aged, blind and disabled population was added, several providers dropped out, citing unsustainably high costs that weren’t covered by the state’s fixed payments. In 2003, the remaining companies asked the state for an 18 percent rate increase. The state offered 14 percent. One company refused to accept it. That meant that each metropolitan area would be served by only one company, a violation of federal rules. The Health Care Authority concluded that it could provide services in the metro areas at lower cost. The SoonerCare Plus program was shut down in 2004. The current initiative was launched after the Legislature passed Mulready’s House Bill 1566 earlier this year. The bill directed the authority to request proposals from independent vendors who could coordinate health care for aged, blind or disabled people currently enrolled in SoonerCare, the state’s version of Medicaid. The bill was backed by three influential health care groups: Blue Cross Blue Shield of Oklahoma, the Oklahoma Hospital Association and the Oklahoma Association of Heath Care Providers, which represents for-profit nursing homes. In March, the presidents of the three organizations sent a letter to lawmakers promoting passage of HB 1566. It said each group had hired its own consultants who concluded that the best opportunity for “saving dollars and fostering better outcomes” would be to start out with the high-cost aged, blind and disabled population. The final version of the bill was approved 66-27 in the House and unanimously in the Senate. Gov. Mary Fallin praised the measure when she signed it into law in May. “This bill starts the process of finding better, more efficient ways to serve SoonerCare enrollees with special needs,” Fallin said in a statement. State officials and patient advocates said they could not predict with certainty how HB 1566 will play out for individual Medicaid recipients. It will depend on what kind of care coordination model or models wind up being chosen. In many cases, in-home care for aged, blind and disabled people is being provided by independent health-care providers who contract directly with the Health Care Authority. If the state chooses to adopt a new care model involving independent managed-care companies, the authority would contract directly with those companies, which would assemble their own networks of doctors and other providers. That could require Medicaid recipients to switch doctors and adapt to other changes in their care regimens. 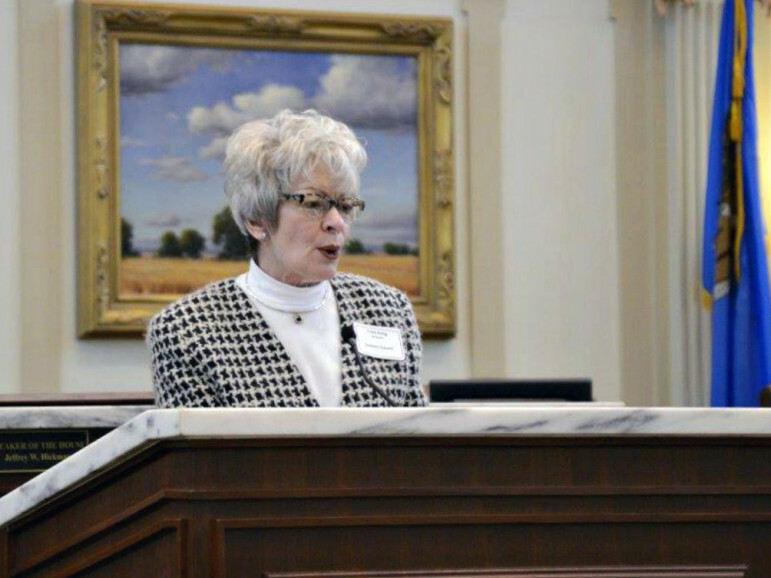 “What we’re concerned about is the model for Oklahoma will end up being capitated managed care,” said Emig, the Alliance on Aging board member. That kind of program would impose new hardships on the aged, blind and disabled, Emig said, particularly those who have serious impairments. Blue Cross is one of the 23 outside parties that responded to the state’s initial request for information. In its 46-page filing, it estimated that its recommendations could reduce state and federal spending by as much as $450 million over five years. Mulready, a Tulsa Republican who chairs the House Insurance Committee, said HB 1566 was written with broad language that doesn’t preclude the authority from considering options other than a fully-capitated, managed-care program. But he said he was definitely an advocate of that approach. Jonathan Small, executive vice president of the Oklahoma Council for Public Affairs, said Oklahoma should follow the lead of other states that have experimented with managed-care Medicaid programs. OCPA is a conservative research group that lobbied for HB 1566’s passage through an affiliated organization. 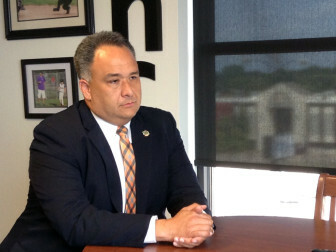 Heater, of the Health Care Authority, said the experience of other states has not been uniform. Some states have realized savings, she said; some haven’t. Heater said the Health Care Authority already has implemented coordinated-care and cost-management practices into its programs, possibly to a greater extent than some other states where privatized care has been pursued. “That sets the bar very high for any other entity to be able to come in and to be able to claim that they can do even more in terms of bettering outcomes,” Heater said. Despite pleas from some developmentally disabled Oklahomans, the state Health Care Authority approved a reimbursement rate cut for providers who serve this population.